- Dual Mode Connection .Bluetooth 4.0 and Type-C USB-C dual mode connection, makes it widely compatible with multiple systems, for Mac, iOS, Windows, Linux, and Android. - Double FN .Double FN key(FN1/FN2) that creats more possibilities for you to set the layer function. - Intelligent "Tap Key" and "Magic Fn" function. - Long Endurance Time. 1900mAh large capacity battery, built-in protection circuit prevents harm to battery. - PBT keycaps. Doubleshot PBT keycaps, durable and not easy to shine as ABS keycaps. - Full RGB Backlight. Full RGB backlit, each key can been set RGB backlit independently. - Large Onboard Memory for Customization. 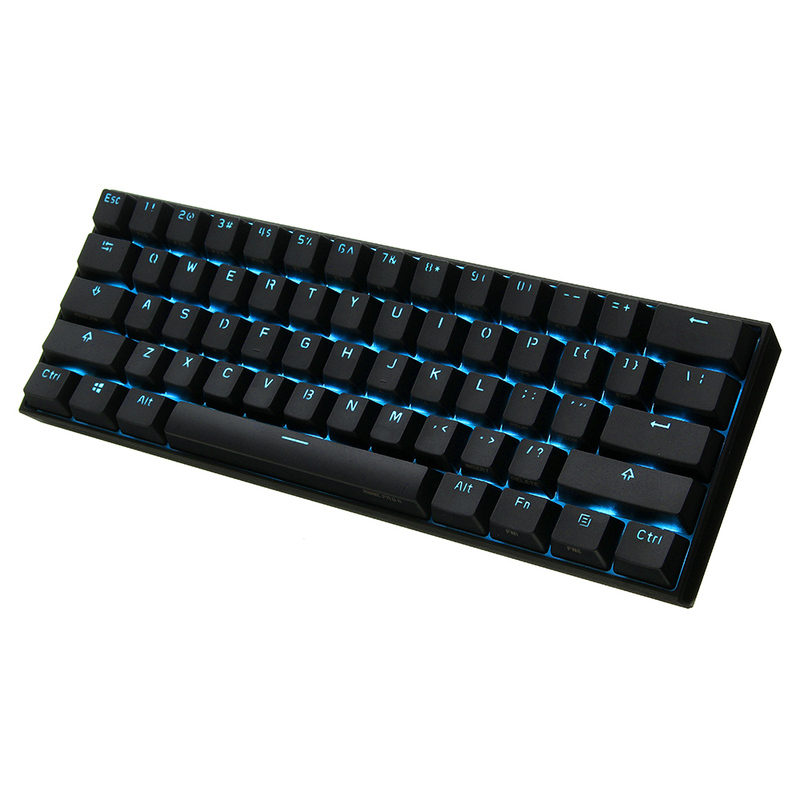 All keys programmable, built-in large capacity onboard memory for TAP/Magic FN function customization, light effect setting, keyboard layout setting and marco setting. - Supports NKRO in wired mode.